Norwegian wants equal conditions of competition in the Scandinavian aviation market and has therefore submitted a formal complaint regarding unlawful differential treatment in favour of SAS to the European Commission and ESA (EFTA Surveillance Authority). Discriminatory conditions and licencing practises prevent Norwegian from obtaining access to traffic rights on the same terms as SAS; in addition the differential treatment generates significant additional costs for SAS’ competitors in Scandinavia. The authorities argue that the differential treatment is justified by “grandfathered rights” due to historic explanations mainly because of the fact that its majority owners are the governments of Norway, Sweden and Denmark. Norwegian has for the past five years on numerous occasions applied for and requested equal treatment and conditions to no avail. Every time, the rejections by the Scandinavian national aviation authorities have been justified by SAS’ historically defined conditions and that its majority owners are the governments of Norway, Sweden and Denmark. The issue at hand revolves around a joint Air Operator Certificate (AOC) that SAS benefits from and that Norwegian is denied access to on equal terms. 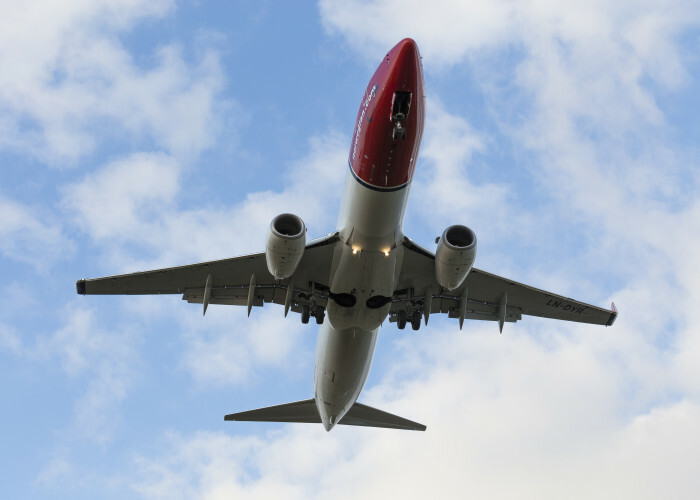 Norwegian has not until now filed a formal complaint to European authorities, hoping and trusting that Scandinavian aviation authorities would create an equal set of rules for all the companies operating in the same market. The European Aviation Safety Agency (EASA) has also criticized the special treatment and concluded that the preferential treatment is in breach of European law. Still it has prevailed. A major competitive disadvantage for Norwegian compared to SAS is its limited access to traffic rights – or the ability to open new routes. The joint Scandinavian AOC, which only SAS benefits from, gives access to traffic rights both within the EU and EFTA (Norway), an advantage not available to Norwegian as Norway is not a part of the EU. If Norwegian had the same traffic rights, it would be able to operate, for instance, flights between Helsinki and Dubai, London and Tel Aviv and Barcelona and Tel Aviv. Norwegian recently applied to the authorities to get access to these routes, but was denied because the airline does not hold an EU AOC. Norwegian’s competitor is without restriction permitted to utilize its crews across the Scandinavian countries. SAS is also permitted to utilize aircraft registered in Norway, Sweden and Denmark seamlessly without approvals notwithstanding place of registry. The competitor must apply for wet-lease when aircraft from another AOC is used. Fees apply when the approval of such applications are requested. Norwegian and other airlines may only operate aircraft registered in another EU country for six plus six months. Although Norwegian’s competitor has to pay administrative fees to three authorities to obtain the joint AOC, it is not required to have three AOC organizations – one in Norway, one in Sweden and one in Denmark. Paradoxically, the latter is a compulsory EU requirement to obtain an AOC. The fees associated with obtaining the unique AOC is minor compared to the ones associated with obtaining three full administrative organizations. The rules and regulations of European aviation safety are administered by the European Aviation Safety Agency (EASA). It has on numerous occasions over the past years stated that SAS’ special treatment and “multi-country”-AOC is not in accordance with the requirement of a«principal place of business» under current EU-regulations. Based on an approved AOC, an airline is granted an operating license in the country where it has its «principal place of business» and it is the civil aviation authorities in that country that shall conduct and be responsible for performing the safety supervision. Norwegian and all other airlines in Europe have to abide by these rules. However, the Scandinavian aviation authorities have established and continued a special treatment in favour of SAS that is not in accordance with EASA rules and regulations.